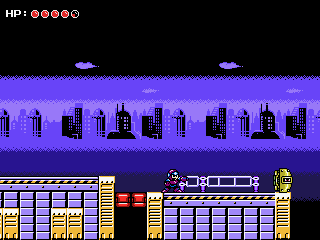 An open-source, SDL based, game engine to replicate old style NES games, mostly Megaman ones, and an editor made with Qt, for custom graphics, weapons, bosses, enemies and level creation. 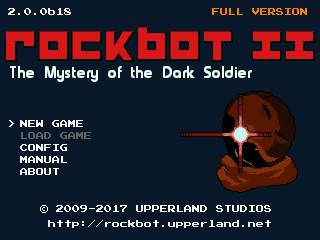 Games packaged: Rockbot I and Rockbot II. 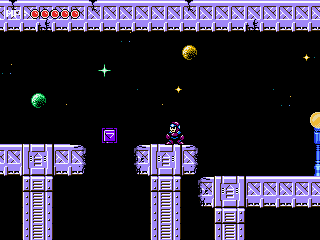 Here is Rockbot, an opensource game engine with 2 games similar to Megaman on NES. I'm aware there is an old version of this on the repo, but this one is updated, so I guess it's worth uploading it. If the original version get updated, I'll remove this version. The game use SDL, and I used Notaz's omapdss SDL driver to get fullscreen. Keymap is Pandora friendly, and similar to the keymap of the former version, exept I left Escape to quit, and Enter to validate (as it feel more natural than Select and Start in my point of view). Feel free to change the mapping in the config screen anyway. 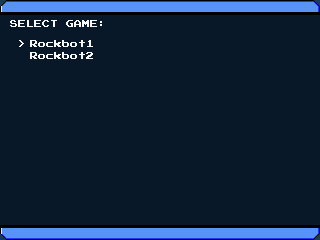 The PND contains both Rockbot I and Rockbot II games.